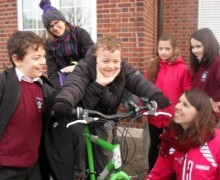 Biker's breakfast: In the Autumn Term we enjoyed four successful Biker's Breakfasts. 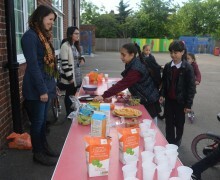 Children were able to enjoy bread with jam, pancakes, cereal and yoghurt. 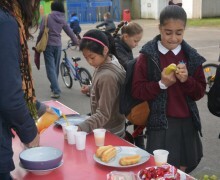 Loads of you came to school by bike and scooter in order to get your free breakfasts. 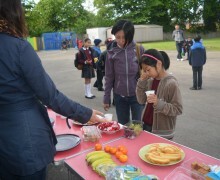 It was lovely to welcome so many smiling faces after your morning exercise to school. 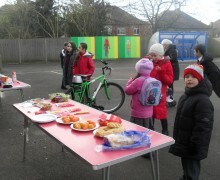 Smoothie Bike: Not only have we had the Biker's Breakfast but we also had a week to make use of a smoothie bike. 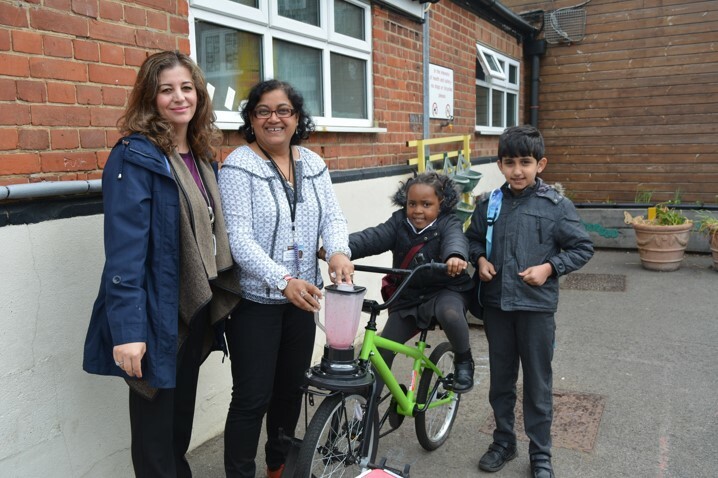 Children made a range of pear, banana and raspberry smoothies with over 70 smoothies being made over the five mornings. 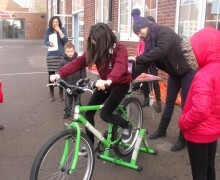 In total we were able to raise just over £36 which will go towards school resources.